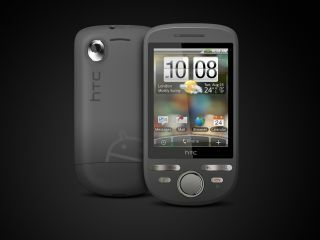 Vodafone has announced it will be offering the HTC Tattoo, the company's latest Android handset, in the near future. The network has given it a UK release date for October, and has made the phone available for pre-order. The HTC Tattoo is the latest phone in the burgeoning 'budget Android' wars, with the T-Mobile Pulse also recently announced. The Tattoo packs a 3.2MP camera (without flash, but then that's the same as nearly all of HTC's handsets) and a new button configuration too. The main talking point (other than the price, which we're waiting to hear more about, although it's likely to be on the cheaper side) is the Tattoo will bring the new Sense UI from HTC. First seen on the Hero, the new interface expands the number of home screens for the phone, meaning more widgets and icons, such as a direct Twitter feed. If you're interested in getting your hands on one, head on over to Vodafone's HTC Tattoo page and let the big red network know you're up for an inking.